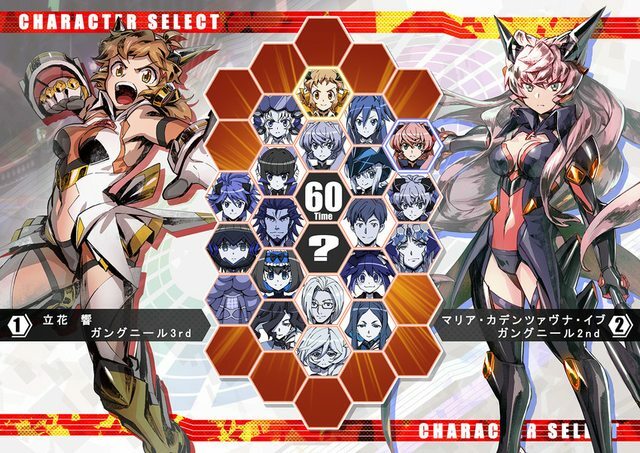 On paper, Symphogear seems like it should be a really great new IP. You've got a likeable cast of heroines with a group of popular and talented voice actresses backing them up, a premise that lets viewers listen to this voice talent sing on an episodic basis as the characters beat the snot out of monsters (and sometimes each other), and you've also got the world's greatest action hero as of the second season. The fact is, I quite like this series. Even if I just pick it apart and look at through a more shallow lens, it gave us some really enjoyable songs, Yuuki Aoi turning into a hotblooded little brawler under a Real Man, and all that good stuff. 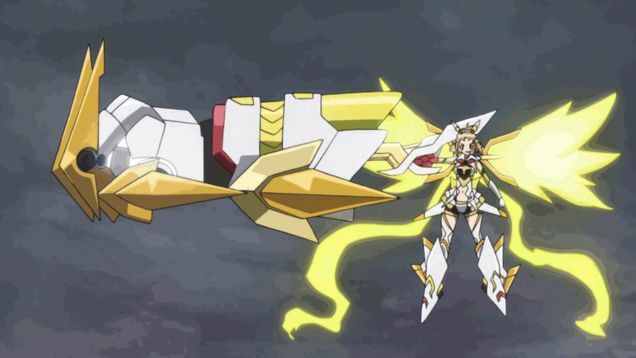 At times, it feels like it's a little tokusatsu-inspired, and at other times, it feels like it's inspired by mecha series or crazy shows like Nanoha, that start off being about magical girls and then go crazy with science fiction and more. It was never the greatest or most well written show by any means, and I had a lot of issues with the second season, but it's a fun enough romp that it keeps me coming back. Still, after finishing the third season, I can't help but feel like there have been a few missteps that deserve some pointing out. 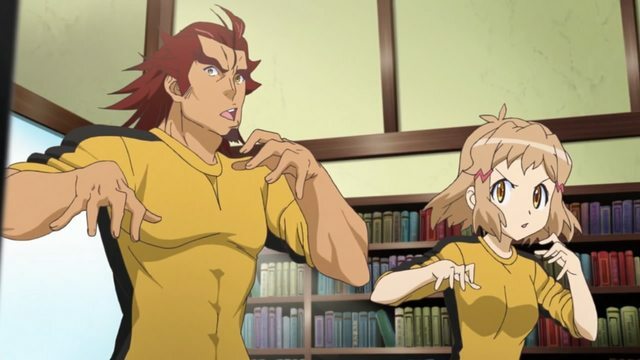 If you haven't watched Symphogear, or even if you have, but haven't seen Symphogear GX yet (the main topic of this blog), now is the time to stop reading! Carol? To be honest, she could've been a bit better after the first two seasons' villains. Carol singing? Hands down, by far, and no question the highlight of the third season. 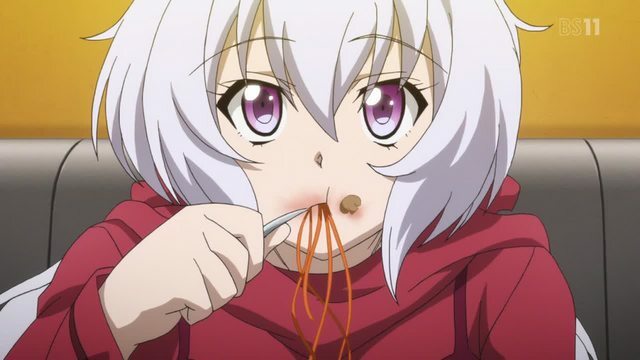 To briefly summarize, Symphogear is a series about girls who, by singing, gain transformations and superhuman abilities, powered by their artifacts. There's military stuff and other science fiction mumbo jumbo, as well as MANLY MEN and KUNG FU, but I'm going to be writing from here under the assumption readers of this blog are familiar with the series. We'll be going over a bit though, so if you've seen it all but just not in a while, hopefully I won't do you too bad. Anyhoo, first order of business: Hibiki. Protip: She's the one on the right. Hibiki Tachibana is the little bundle of Yuuki Aoi-fueled energy and punching that makes up Symphogear's protagonist. She's got a bright spirit and seems like she'd be right at home in Shonen Jump... or Gundam. See, as much as she likes to help people, and as ready as she is to beat up mindless monsters to help out those in need, when it comes to fighting other people, she's not always as eager. See, she'd rather find a way for her and her opponents to reach understanding as opposed to through violence. In the second season, things are kicked off by Hibiki being called a hypocrite by a new character. It becomes clear that the character's criticisms (that Hibiki can only say and do what she does, what with the whole protecting people without trying to hurt them, because she's never experienced ANGST) are a complete load of it, and in turn that Hibiki shouldn't really be brought down by it... but instead, she spends a good portion of the second season stuck on whether or not she's a hypocrite, in part thanks to rushed in backstory. To its credit, the first season left room for it to be there, but having not brought it up to the extent the second season and later third season rely on it, it's kinda... yeah. Anyway, Hibiki at least isn't traumatized by the idea of fighting other people or anything. In fact, her wife best friend wife best friend Fate Testarossa equivalent is at one point turned into someone she has to fight, and fight she does, laying the punishment on her friend hard in order to bring her back to her senses. Maybe a little too hard...? Does anyone else see the pattern? Morals? Who needs those when you have giant rocket fists? Symphogear GX got incredibly preachy. At times, in ways that didn't even make sense. Characters would go on and on about the meaning of strength and weakness and weapons and whether or not they were useful and... Oy vey! Now, don't get me wrong, the show had its preachy moments before, but it still had time to have zany, over the top action at least somewhat regularly, slice of life segments here and there, and... Well, okay, to be fair, I was sure I'd hate the second season for some of these same things until the last episode turned it around, but the problem here is instead of doing the same, the finale of GX was literally a lackluster rehash of G's finale, with the same final attack and all. They even somehow managed to repeat the whole "the previous season's villain redeeming themselves by sacrificing themselves to save the heroes who are about to die" thing! 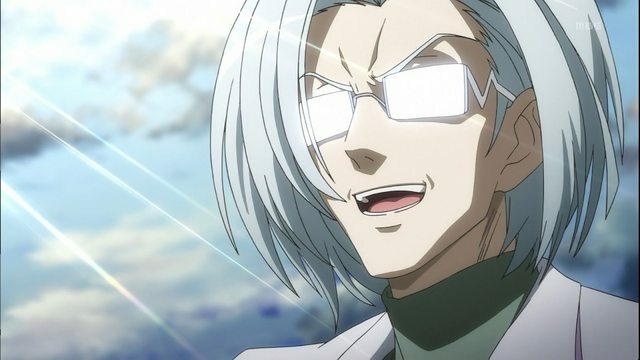 And Symphogear G's villain was a guy who wanted to kill everyone and repopulate the earth himself, considered himself an ACTION HERO, and... somehow this got turned into him wanting to be a real hero and sacrificing himself for the world... that he was... last season... huh? The world just wasn't good enough for you, Doctor Ver. Honestly though, the preaching itself isn't so much the issue. I'm the kind of person that can find themselves getting moved by Kamen Rider and Super Sentai going on about dreams or the future, so that's not really a problem. It's not just that it wasn't done well (or necessarily that it was, to be fair), it's that I'd seen it from this show before. In some cases, I'd seen it from this show twice before, if not more than that. 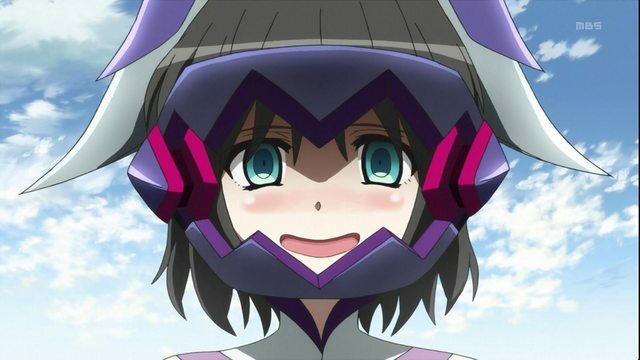 I'd seen a lot of what Symphogear GX offered from Symphogear's past two seasons already, and it almost seems like they felt like they could mask that by having their villain use new technology, when the end result is ultimately the same. Maybe it's because the cast got too big this season? Between six fighters, a homunculus helping them, the commander and the staff on the bridge, four villains accompanying the main villain, along with friends, family, and so on, the show did have a ridiculous sized cast when all is said and done. The show was certainly enjoyable, don't make any mistake about that, but it could have been better. To put it another way, it seems to want to be like a Real Robot series and a Super Robot series (just, you know, the robots are girls), but the problem is that it's best when it's being a Super Robot series. It's not good at being a Real Robot series and the balancing at isn't going to cut it when all they can do is go over so many of the same plot threads for three seasons. It's not like going over stuff again or reusing old elements has to be a bad thing. Reusing old elements in new ways is something tons of creators do. In many cases, it was purposeful foreshadowing. And heck, it's even been done well in this same show before. 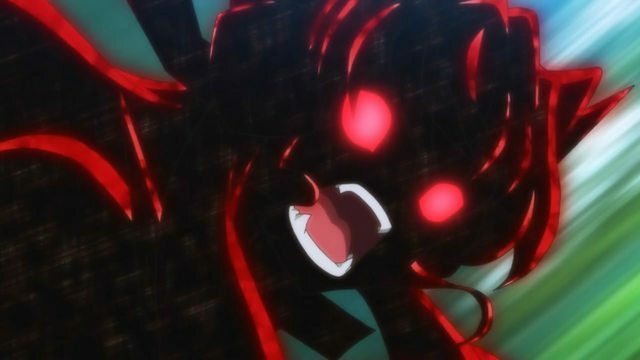 They evolved the concept of Hibiki's whole "berserker" mode from the first season into a problem in the second and then fine tuned it into a controllable power in the third. That's a decent way to reuse plots and ideas. Even Maria actually going berserk wasn't done terribly. 2.) The writers themselves don't remember. As insulting as this may sound, it happens. It's only human for it to. And I know I'm coming down a little hard on the show, so I do want to say that I do like it. I'm not sure if it would be fair to say I like it a super duper lot, but I like it enough that GX is one of the only three or so anime I've watched this year to completion, so that's something, right? Maybe I'll do a counter-point blog about the things I liked later...? The puppet girl... things would be high up. They were a lot of fun. This season's songs kinda sucked. Or at least, well, they weren't really particularly memorable? It seems like the best songs of characters are their initial songs, and seeing as by this point, some of these characters are going on having sung 10 songs for this show, I get that they've got shoes to fill and all that, but still. Besides for Carol's song, which was fantastic and is probably my third favorite song of the series (after Chris' "Makyuu Ichivial" and Hibiki's "Gekisou Gungnir," both from the first season), none of the "main" songs from this season, save maybe for some of the short-lived duets, really stood out. 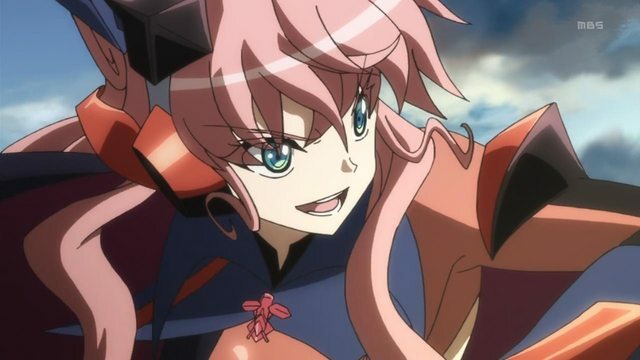 In fact, I think if anything, Maria singing her song from Symphogear G when she briefly used Gungnir again was one of the best uses of their songs in Symphogear GX, as that never happened to my recollection in Symphogear G with the first season's songs. Of course, it does help that that song is awesome. As was Maria for most of GX, incidentally, which took me by surprise! Not in a bad way though! Which is, in itself, a surprise! Actually, since I'm already leading into it anyway, let's talk about at least one of the goods things GX did so I can end on a positive. And that is, I think, Maria. I think Maria was the only character that didn't leave me feeling like they only existed to force cheap drama at any point in the season. Now don't get me wrong, Maria had her share of drama, and in a normal setting, I've no idea whether or not one could argue its cheapness or not. 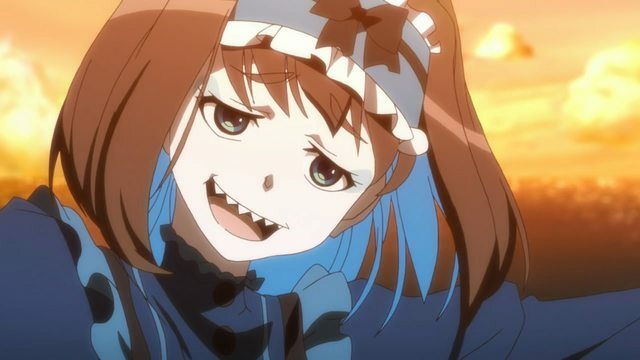 But in the realm of Symphogear GX, with everything else going on in this season, Maria was the only character of the main cast and villain that didn't at any point make me turn away or mentally roll my eyes. Between Hibiki and Chris revisiting their previous character arcs, Tsubasa's weird father thing coming out of nowhere and attaching itself onto her past like an incestuous mosquito, Kirika and Shiraba's contrived quest for strength, and Dr. Ver's character doing a 180 for the sake of plot, Maria actually had a surprisingly well done character arc in GX. Forced to deal with the fallout of being a terrorist that the government twisted into an "oh she was totally undercover guys," she doesn't know what to do with herself, she's dealing with the stuff she did last season (as opposed to Kirika and Shirabe, who just latched onto Chris and spend more time with her than their "sister" because reasons), and so she's trying to find herself. All while initially being restricted by the government, then being powerless, and so on. Best of all, it's spread out over the course of GX. The best kind of character development is slow, at least for me. It doesn't always have to happen as a result of something that is all solved in the span of one episode. It can take place over a period of time, and you only really realize they've developed when it either becomes a point to emphasize their changes, or you go back and compare how they acted in the beginning to how they act in the end. That's what I think, anyway. I also think that I HAVE NO IDEA HOW YOU MISSED YOUR MOUTH good gracious girl. But who knows? I could be crazy on that point. I've seen a ton of people claim some of my favorite series, favorite because of their character interactions and development, had nothing but filler. Is it a sign of a stark discrepancy in taste, or just falling attention spans across the globe? Oh well. I do at least know one thing for sure. Day one buy if this ever happens.